The long 229-minute version is available on Blu-ray, and since virtually everyone believes this to be the true version of the film, I doubt we’ll ever see that 139-minute theatrical version ever again. The length does justice to the immensely epic and emotionally dense character study. 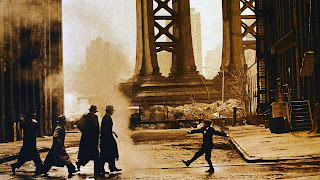 From the golden brown cinematography to the rich and textured production design of the era to the thematic and narrative connections to the action in the present, the influence of The Godfather Part II is felt through this 1920s storyline. This delicate touch of Leone’s equals Coppola’s work in these scenes. Leone’s detail in the exterior street scenes is magnificent, teaming with people in every corner of his frames and as far as the camera can see. Leone never attempts to cheat his scenes, instead playing almost all of his action in widescreen grandeur. The miracle of America is Leone’s ability to not let the sheer size of his canvas overshadow the finer details and individual moments of drama. His big and small moments have equal weight in all his pictures, and it's never more important here. Just note how little dialogue there is in the film, in particular the opening 30 minutes, a beautiful choreography of camera and actors. Leone's use of all elements of cinema: editing, camerawork and sound design is sublime and masterful. The drone of the telephone ring used in the opening sequence is a surreal use of digitec sound but draws our attention to the significance of a key decision Noodles will make later in the picture. Same with Leone’s attention to the locker key or the charred body in the street – all details set up to be paid off later. This is the Leone modus operandi, peppered into all of his previous films. The incessant drone of that telephone ring recalls Leone’s multiple references to Charles Bronson’s harmonica in Once Upon a Time in America or Lee Van Cleef’’s musical pocket watch in For a Few Dollars More. 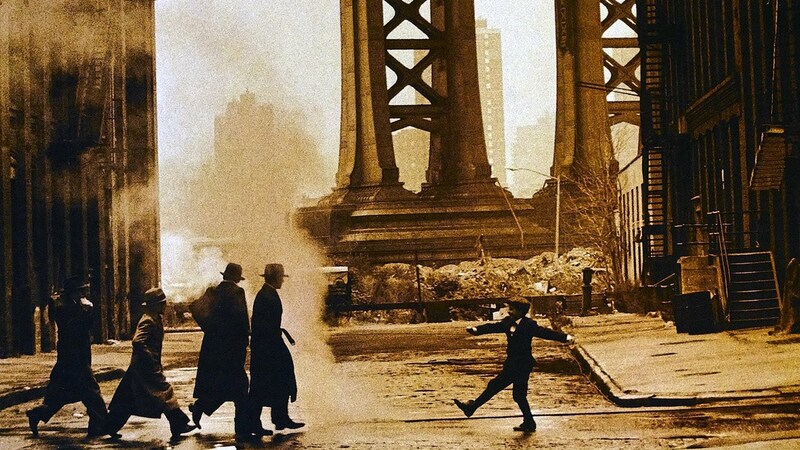 Once Upon a Time in America is available on Blu-ray from Warner Home Entertainment.